Windows 8 always shows the Metro-style Start screen when you log in. You don’t have to click the Desktop tile every time you log in, you can boot straight to the desktop with this quick trick. This is especially useful if you’re using a third-party Start menu like ViStart or Start8, but it’s also useful if you just use the desktop most of the time. 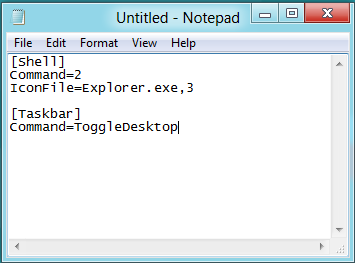 You can also quickly get to the desktop from Metro with the Windows Key + D keyboard shortcut. 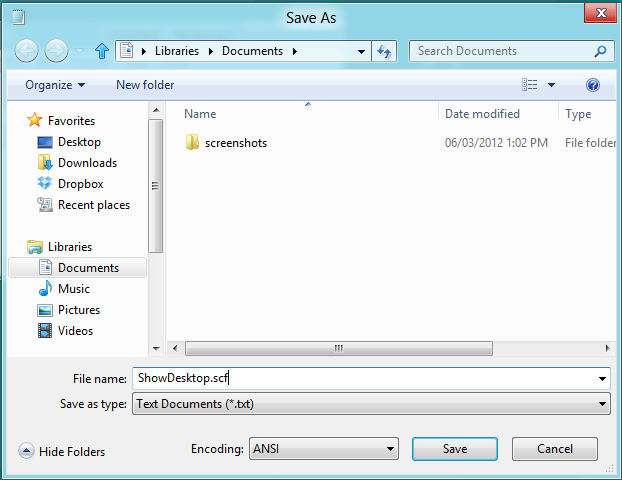 Save the file with the .scf file extension — name it something like ShowDesktop.scf. You may remember the ”Show Desktop” button found in the Quick Launch area on Windows XP — this is the exact same shortcut. 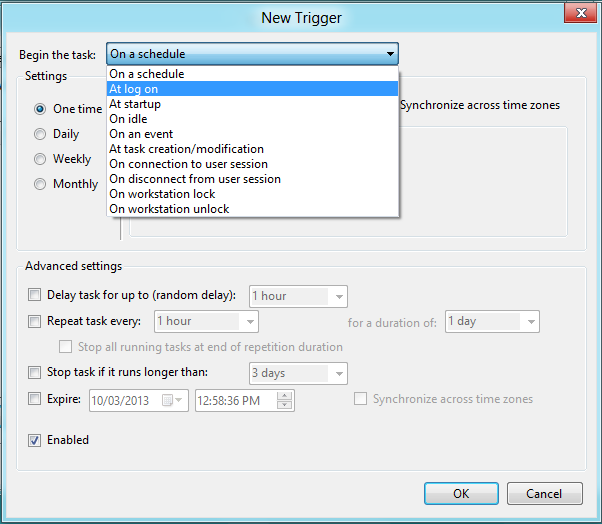 You can set the shortcut to automatically run when you log in with the Task Scheduler. 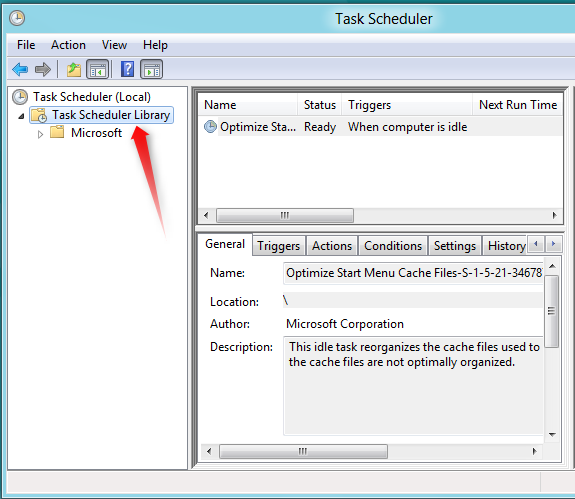 Launch the Task Scheduler by pressing the Windows key again, typing Schedule, clicking the Settings category and selecting the “Schedule tasks” application. You can also find it under Administrative Tools in the Control Panel. 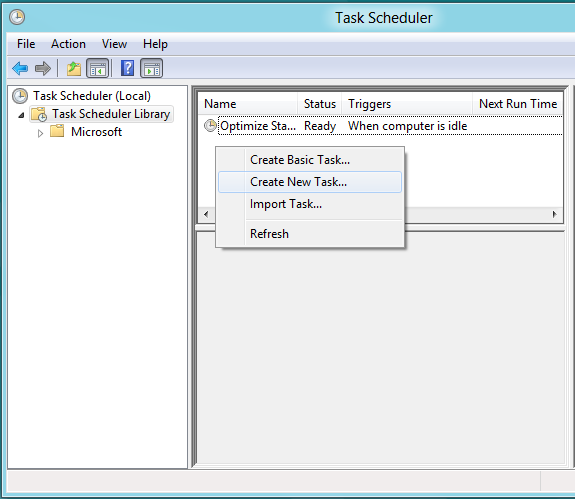 Click the “Task Scheduler Library” folder at the left side of the Task Scheduler window once it appears. Click over to the Triggers tab and use the New button to set a new trigger. 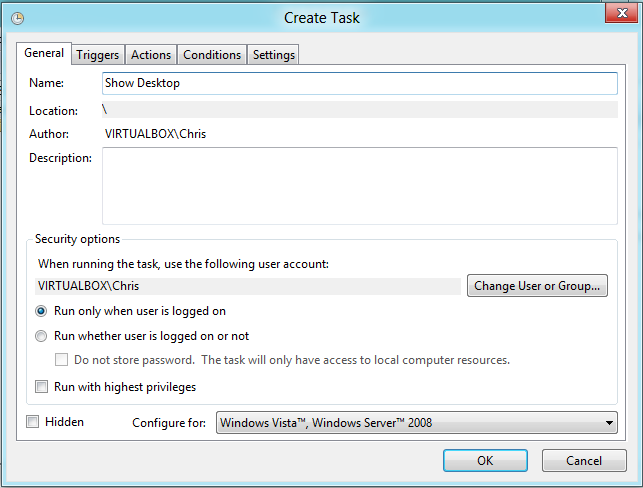 In the New Trigger window, set the task to begin “At log on” and click OK.
Click over to the Actions tab and create a new action. 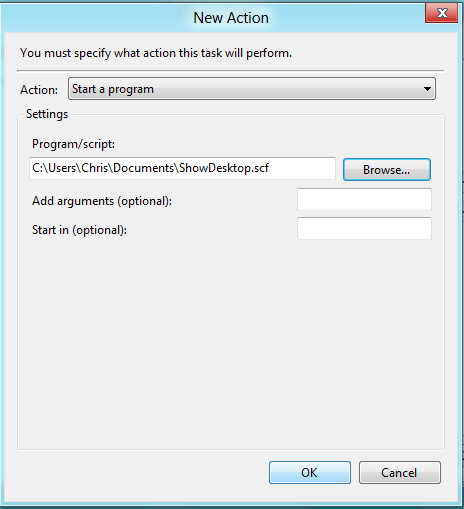 Set the action to “Start a program,” use the Browse button to select the shortcut you created, and click OK.
Click over to the Conditions tab and uncheck the “Start the task only if the computer is on AC power” check box under Power. 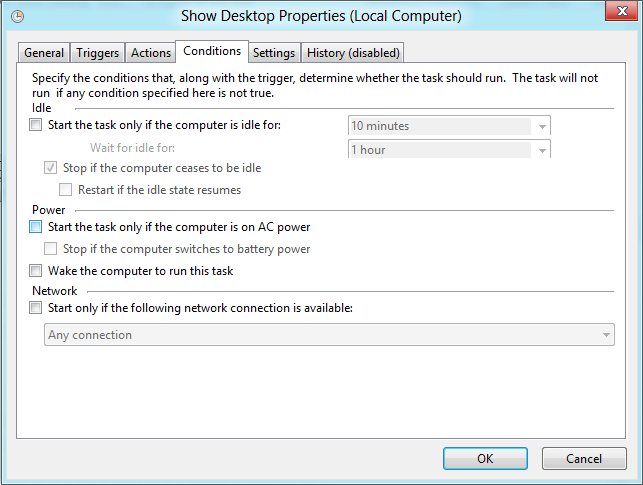 If you don’t do this, your laptop won’t boot to the desktop if it’s running on battery power. Click OK and you’re done. You’ll start at the desktop every time you log in, but the Start screen will still be a click away.